There are many ways to fix a broken or damaged tooth and one of the most common is to get a dental crown, or tooth crown, put on. Work with your RLJ Dental dentist to decide if a crown is the best way to treat your tooth or if veneers or dental implants would be more beneficial. A crown covers the entire tooth surface and will look like the rest of your teeth. With a ceramic or porcelain crown, no one will know the difference unless you tell them. It can be the fix to broken or decayed teeth, broken or large fillings or teeth previously treated with root canals. As with any dental or health care procedure, restorative dentistry is not one-size-fits-all. Veneers work best for small imperfections, such as chips or cracked teeth, dental implants are used for lost teeth, and dental crowns are used for teeth with severe tooth decay or with a large filling. Even once narrowed down to putting a crown on, there is still a choice of which type of crown to use: ceramic, porcelain-fused to metal, gold alloys and base metal alloys. The procedure to get a crown put on will span over two visits. During the first visit your dentist will shape the tooth and create a temporary crown while your permanent crown is getting created just for you. 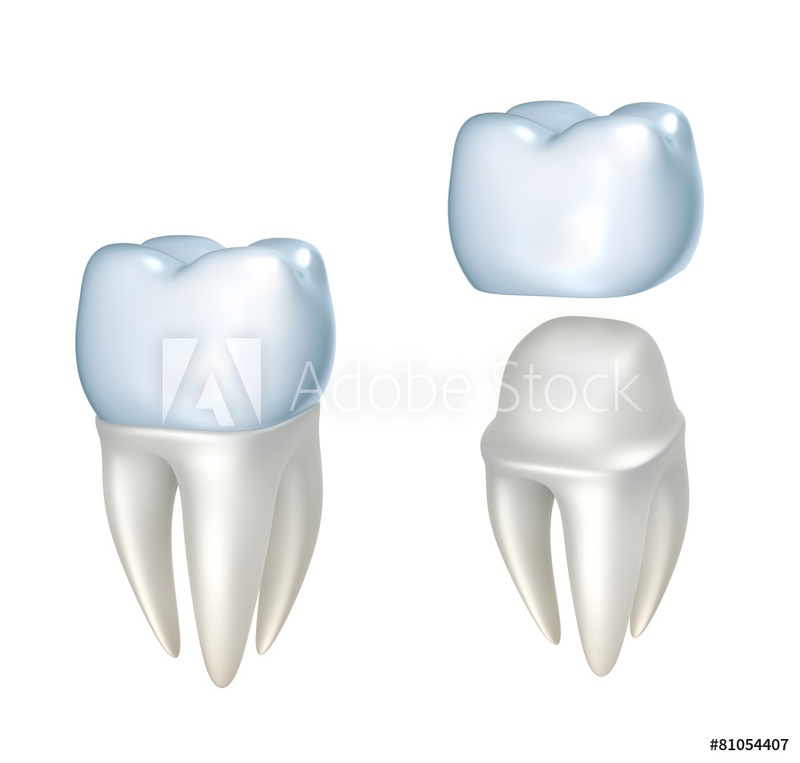 At the second visit the dental crown will be cemented onto your tooth. In the time between receiving the temporary crown and the permanent crown our dentists recommend staying away from hard and sticky foods, as they may cause damage to the tooth. If the temporary crown comes off call us immediately. We reserve emergency time every day. Whatever the reason for needing a dental crown, RLJ Dental has the expertise to restore your smile. View original article on dental crown here.